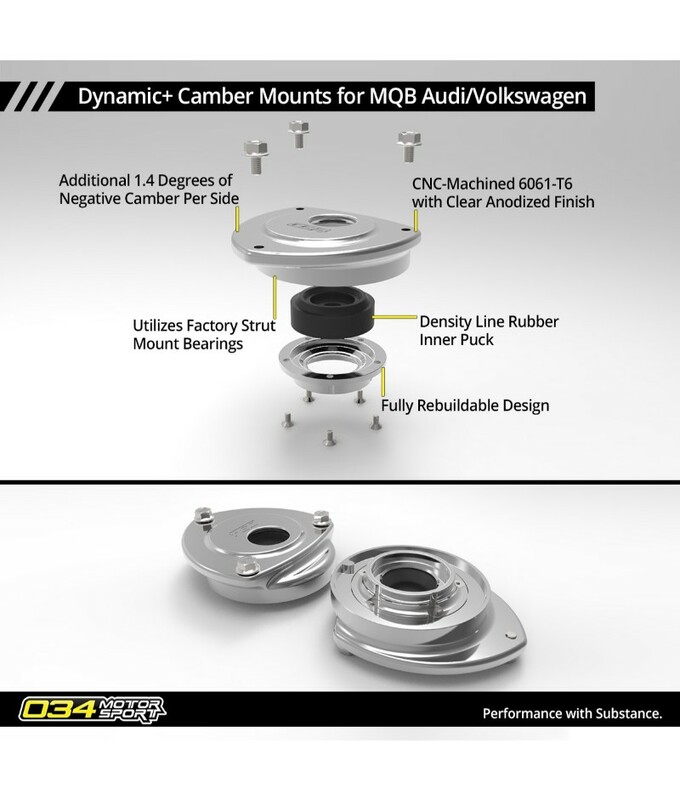 034Motorsport’s Dynamic+ Camber Mounts are engineered to significantly improve handling performance for MkVII Volkswagen Golf/GTI/Golf R & 8V/8S Audi A3/S3/RS3, TT/TTS/TTRS models. 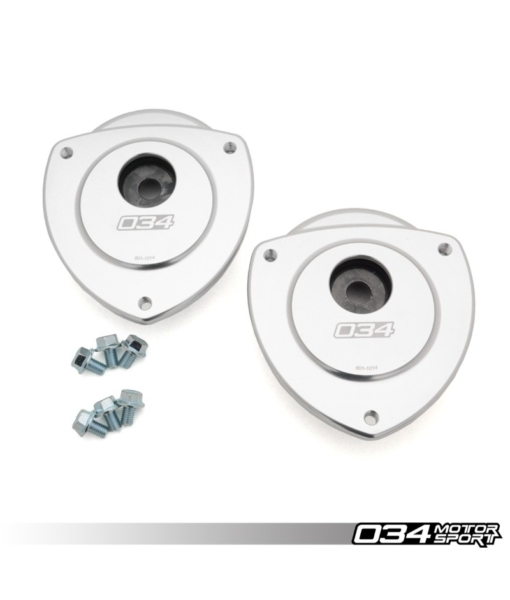 Designed as a true drop-in upgrade, the Dynamic+ Camber Mount Pair provides an additional 1.4 degrees of negative camber at each of the front wheels to improve both turn in and cornering grip. Most importantly, Dynamic+ Camber Mounts provide a fixed camber increase without the cost, noise, and complexity of adjustable camber plates. 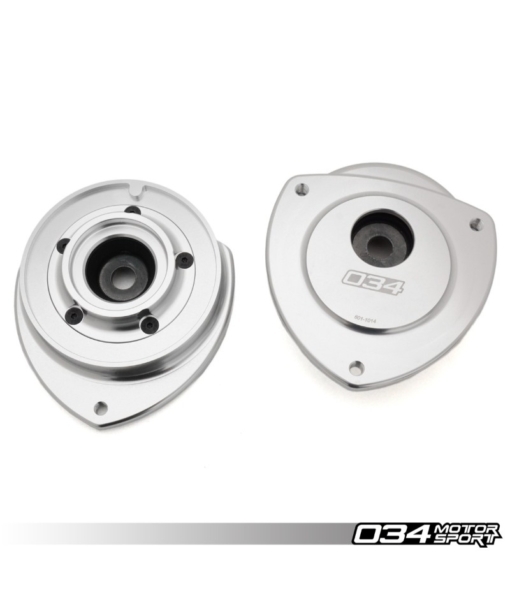 These mounts will also eliminate the annoying “squeaking” sound often caused by the stock strut mounts when paired with coilover suspensions. 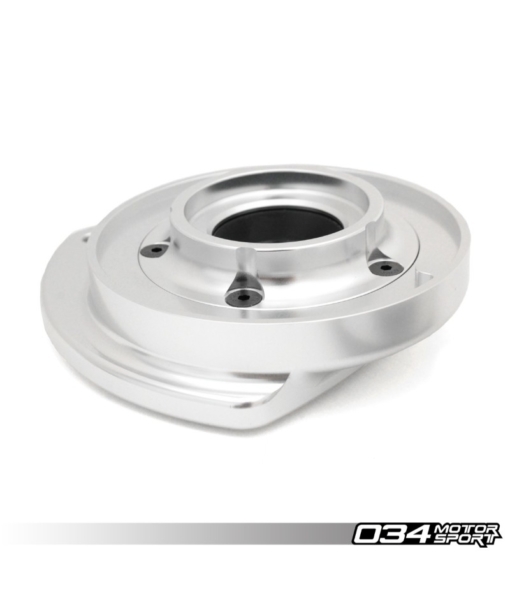 Dynamic+ Camber Mounts will only cause a minimal increase in noise, vibration, and harshness (NVH) inside of the cabin. These mounts are a completely re-engineered performance solution, not just inserts for use with the factory mounts.